I would be stating the obvious if I say that tourism should be an important agenda for a city. Getting tourists to spend their money in your city is just good economics. All you need to do is to ‘wow’ the tourists so that they go tell their friends to experience your city too. But this is easier said than done. Attractions of a destination (landscapes, monuments, beaches, etc.) are only valid as long as a great tourist experience compliments them. Tourists often complain that ‘the place was great but getting there was troublesome’. Or ‘The museum was beautiful but everything was in the local language. That was a bummer’. Cities that realise this challenge are investing in strategies such as supporting tour agents, information kiosks, travel booklets. And even audio-guides, sign-boards, information boards. Or anything and everything that will help keep tourists happy. However, these are capital intensive measures and what does a city do if it’s on a low budget? It’s time to go mobile! In this era of smartphones, adopting mobile engagement strategies is the way to go. According to a report by eMarketer, number of smartphone users in the world is expected to reach a staggering 1.75 Billion by the end of 2014. Also, by 2017, global smartphone penetration will probably reach 50%. Instead of investing in capital intensive and ancient techniques, cities should leverage the smartphone of tourists as a medium to increase flow of information. We can call this ‘infrastructure crowd-sourcing’. It is using the infrastructure of your audience (the smartphone in this case) to solve your problem (flow of information). Ok. So we use their smartphone. But to do what? You can provide them with information they are looking for such as directions, notes on historical significance, stories, reviews, emergency numbers, embassy contact information, and do’s and don’ts. City administrations from various countries are already doing this. In 2015, the Government of Kerala (India) adopted QR Codes. These QR Codes were put on many sign-boards across the state. Each QR Code linked to Kerala tourism webpage and helped people learn about tourist spots around the state. Also in 2017, Hong Kong Tourism Board used QR Codes to help tourists. Smartphones are of great use in translating the information to the language of their choice. This is important as it removes any language barrier. Thus, making it easier for tourists to explore and get around the city. Instead of waiting for tourists to search information using Google or on your website, why not push information on their smartphones? This can be easily done using QR Codes. A QR Code is a 2-D barcode which redirects the user to the intended webpage. 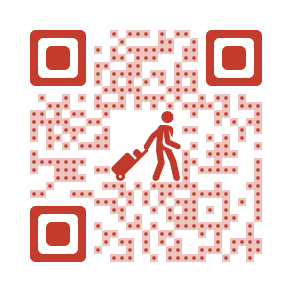 QR Codes can also store offline information such as contact details and Google map locations. It is a low-cost mobile engagement tool that makes destinations tourist-friendly. One can put up QR Codes at places of interest such as monuments, art galleries, museums, town squares, and city halls. On scanning a QR Code, the tourist (or for that matter locals) can read relevant text on a website, see photos and videos. Or listen to audio guides, share interesting information on social platforms, and get directions on Google maps. QR Codes can be easily generated using online generators. In 2013, Rio de Janeiro added QR Codes into its trademark black-and-white mosaic pavements. 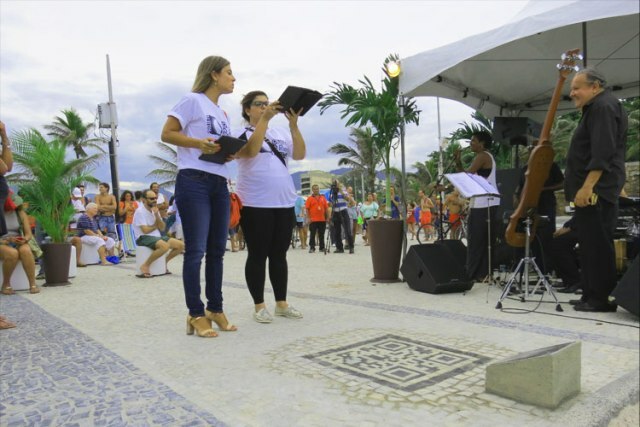 According to a report by Associated Press, Brazil planned to deploy around 30 QR Codes at beaches, vistas, and historic sites across Rio to allow tourists and locals to learn more about the city. 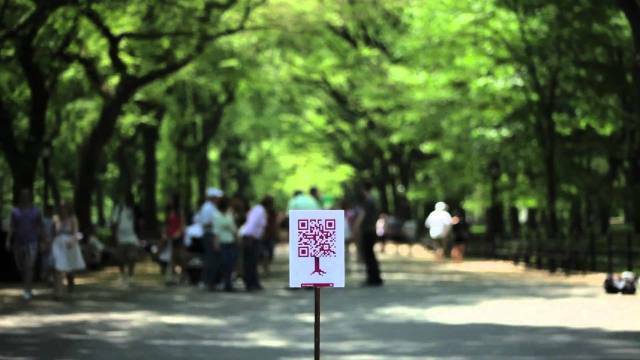 In Apr 2010, New York City ran the World Park Campaign in Central Park using QR Codes to engage park visitors with interactive content. 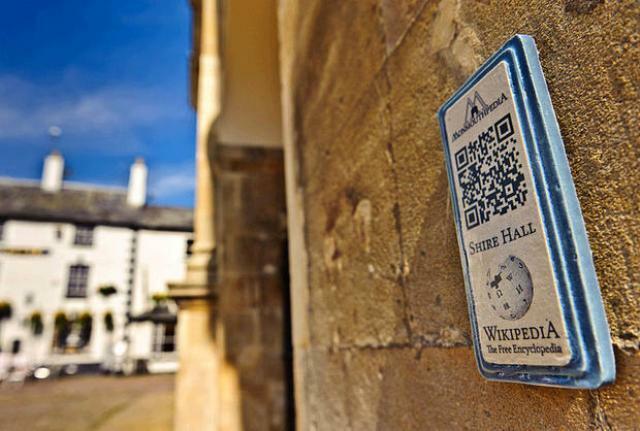 Monmouth, a small Welsh town, brags itself to be the first ‘Wikipedia town‘ after announcing plans to install 1,000 QR Code plaques linking back to Wikipedia articles. 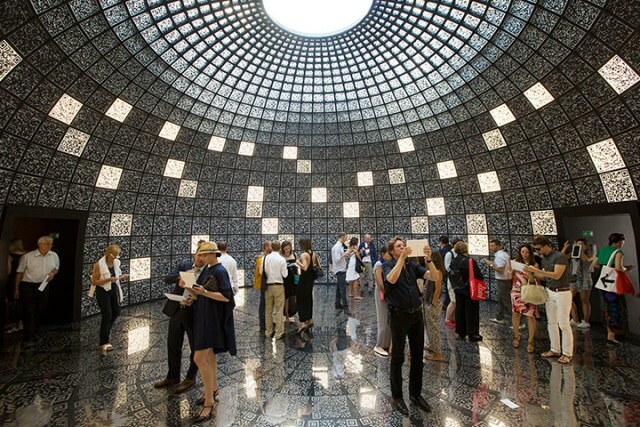 The Russian Pavilion at the Venice Biennale 2012 allowed enthusiasts to learn about the Strolkovo Innovation Center, a new development that aims to concentrate intellectual capital around five clusters (IT, Biomed, Energy, Space, Nuclear Tech), through QR Codes that covered every inch of the Pavilion. Many other destinations across the world such as China, Abu Dhabi and the Philippines also have QR Codes across the city to guide tourists and locals. It’s time for your city to go hi-tech. It’s possible even with a low budget.